There are many different programs for customers wanting to Detox while on holiday in Phuket. More and more people are choosing this healthy option of retreat. These programs range from full service health resorts to spas to personal trainers and everything in between. At the top end of these programs are absolutely superb resorts, high end, places to stay and relax. Nothing is cheap and everything is top quality. Service is outstanding and the programs organized from the moment you arrive to the moment you leave. 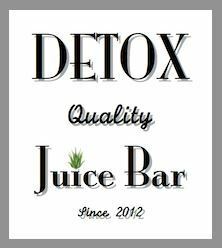 At Detox Juice Bar we offer an Affordable Option for the health minded traveler. Our Detox Programs are made fresh each morning for you to pick up. Our juice detox program include 4 litres of assorted fresh juice with added specialty products to help your body detox and cleanse. We don’t tell you how to plan you day or where to spend it, that’s up to you. Our Detox Programs are 1,000 THB per day.